Shrimp Pil Pil is one of our family’s favorite dishes & whenever I need a pick-me-up I have Tomas make it for me (I make sure to keep frozen shrimp in stock at all times & buy extra whenever it’s on sale). 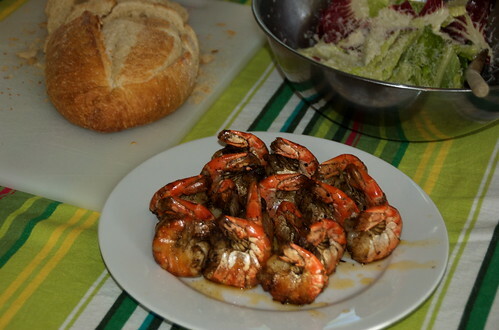 Heat olive oil, add garlic and spices until hot (30 seconds or so), then add the shrimp. Cook on meduim-high until pink all the way through – a couple minutes on each side. When done toss in the parsley and serve with crusty baguette and a salad tossed in a simple vinaigrette. Serves my family of five with no leftovers.